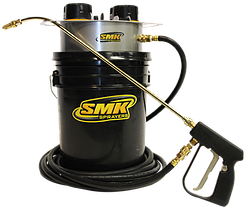 Looking for a Battery Powered Chemical Sprayer that Can Get the Job Done Right Without the Hassle of a Pour & Pump Sprayer? 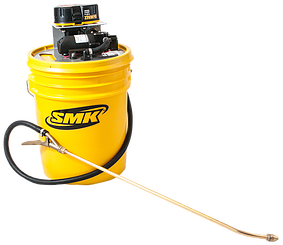 Introducing the SMK family of industrial chemical sprayers that will meet all your indoor or outdoor needs. 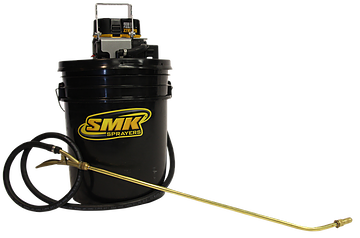 Whether you’re just cleaning a carpet or working a restoration job where conditions aren’t ideal, consider the SMK line of battery powered sprayers. 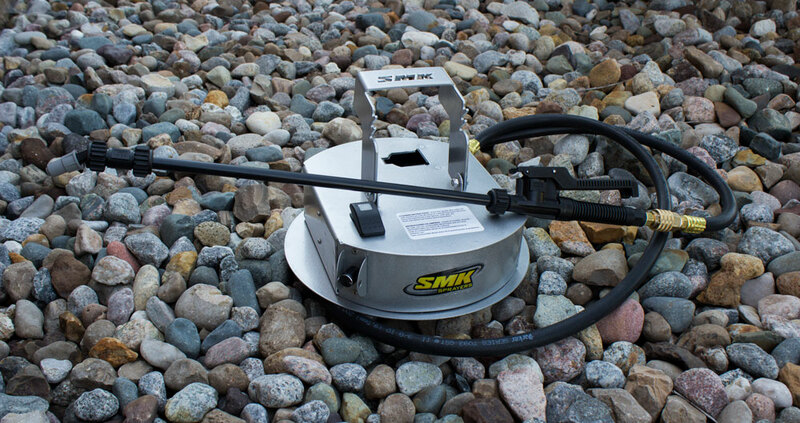 Pour & pump sprayers are cumbersome, time-consuming and eat into your profits for every job. 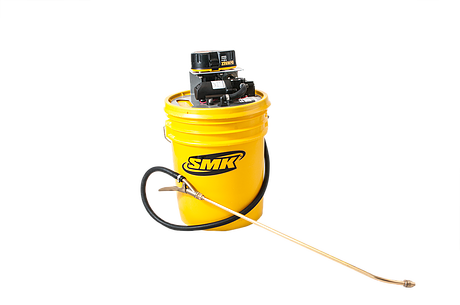 And with other battery operated sprayers, you not only have to deal with the mess of pouring your product into a small container, but also risk contamination when you use a variety of products. Now is the time to eliminate these problems! 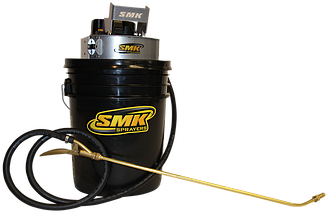 SMK Sprayers deliver great improvement for you over the other traditional methods by providing patented bucket locking technology that allows you to directly and easily connect to a 3.5 or 5 gallon bucket. And start saving money today by calling us to find out which model best fits your needs! 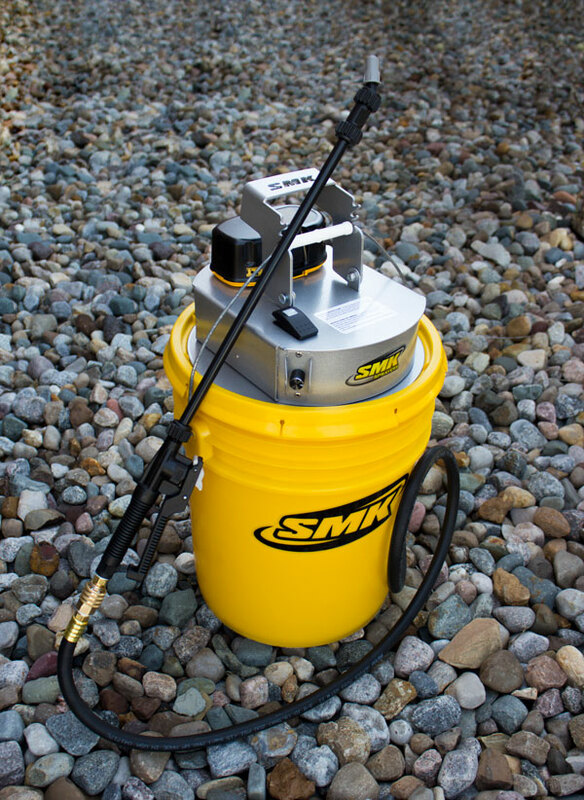 “I received the P100WO sprayer today. I went to a hardware store and purchased a couple of PEX quick coupler and another piece of 3/8” Pex and made the pick up tube reach the bottom of a drum. It worked like a champ. 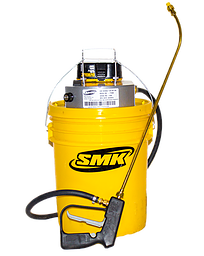 My customer was able to spray three drums today. 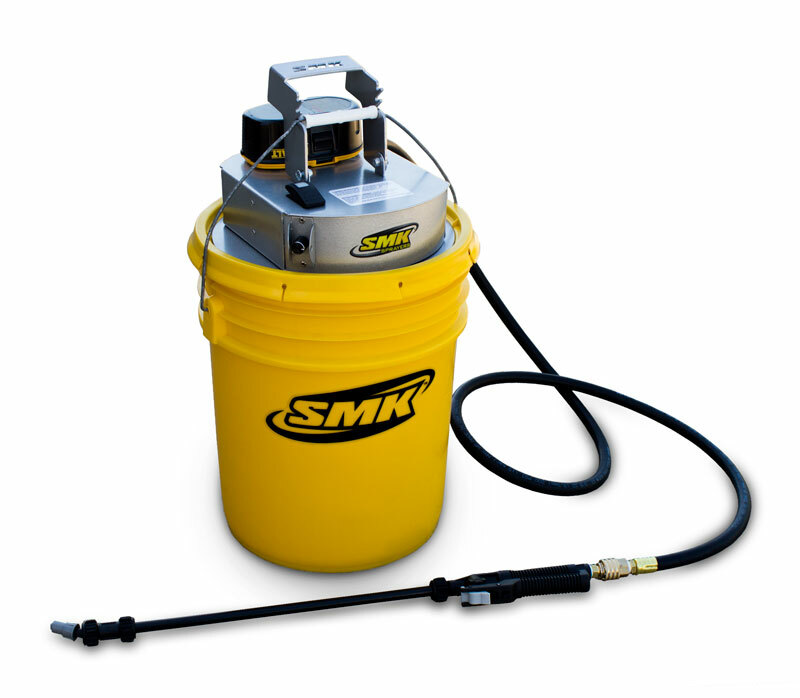 I am taking him the H100AC on Monday to finishing spraying the other 7 drums of densifier. The P100WO is going to another customer to spray another 3 drums of densifier.